Raising ducklings is easy, and in truth, much easier than raising chicks or turkey poults! 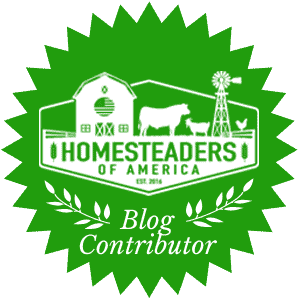 Learn about breed selection, brooding, feed options, and other beneficial tips. The decision has been made to incorporate ducks onto the property. And to be quite frank, who can resist ducklings? Not many. However, raising ducklings is different than brooding chickens and other poultry. Ducklings have their own set of rules, and these rules must be followed. Outside of being absolutely adorable, ducks have multiple purposes on the property. Outside of egg and meat production ducks are excellent at pest control. Fly problem? No longer a problem with ducks around! Not to mention, they also consume slugs from the garden. 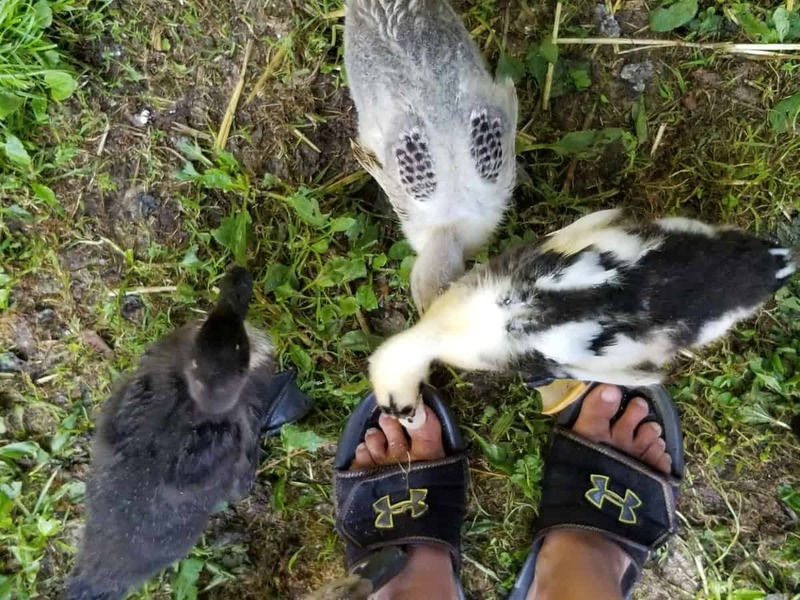 Raising ducklings means one thing. In the near future you will be receiving a plethora of ducks eggs. Overall, ducks are more prolific layers than chickens are. Not to mention, they will lay eggs for a longer period of time than chickens do. A duckling reaches maturity quite quickly, as early as 17 weeks. This means egg production can occur as early as that, though not always. Expect the first duck egg between 17 to 30 weeks. The final bonus for raising ducklings is this: ducks tend to lay prior to sunrise. 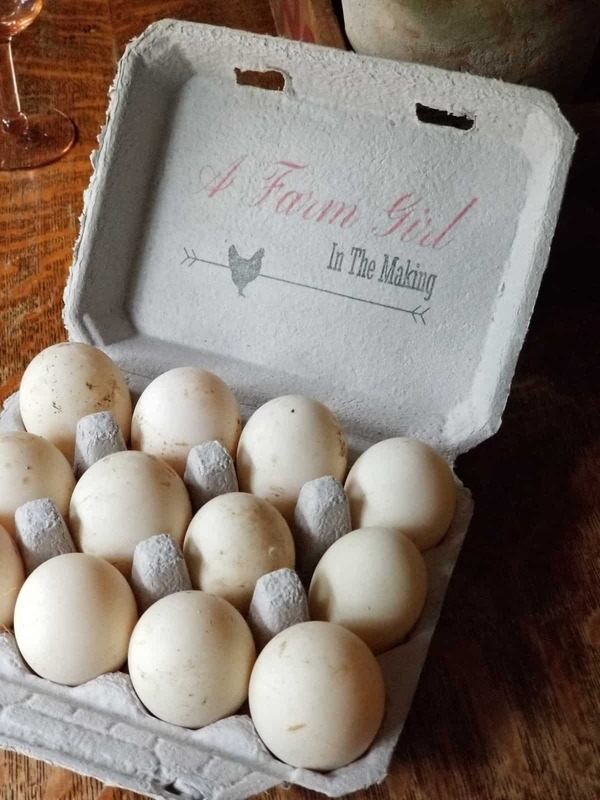 Unlike chickens and their desire to lay at odd times throughout the day, fresh duck eggs will be waiting for you first thing in the morning. Overall, ducks are healthier than other poultry and are less susceptible to becoming ill. In addition to this, ducks are cold weather hardy and can handle 20 degrees Fahrenheit well. However, anything colder can cause frostbite issues on their feet. Selecting a duck breed is as difficult as selecting what breed of chicken to raise. In truth, there is no wrong option when it comes to raising ducks. The decision to raise a heritage breed was important to our homestead. Alongside of raising heritage Welsh Harlequin we have raised Cayugas, Khaki Campbells, and Pekins. The Livestock Conservancy website is a great resource to assist in selecting a breed. 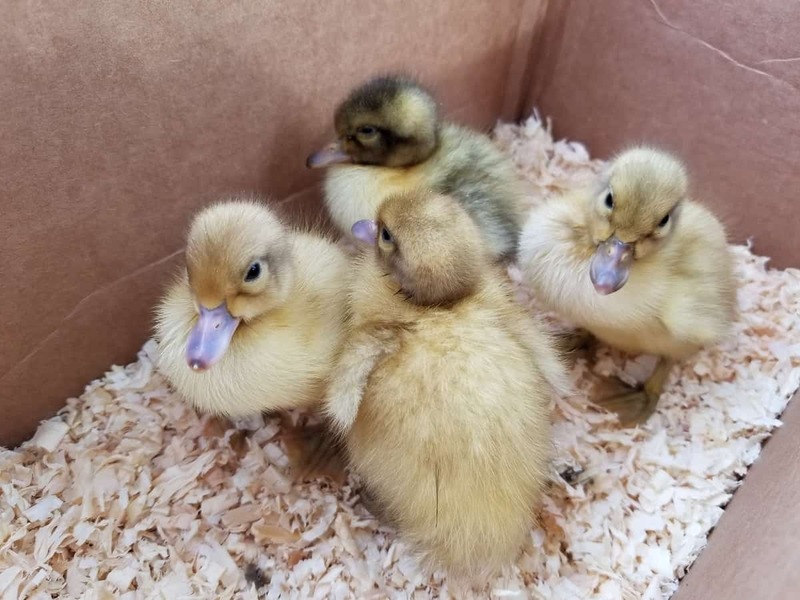 Heritage duck breeds can be purchased through reputable breeders. Hatcheries are another source for finding heritage breeds. However, before a hatchery duckling can be considered a heritage breed there are requirements which must be met. 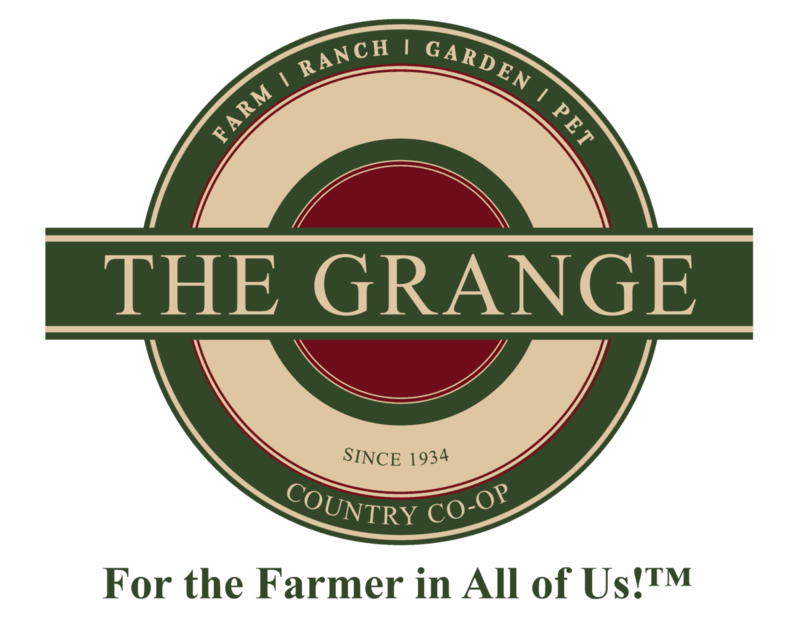 Learn more about heritage breeds on the Livestock Conservancy’s website. A duck marked dual purpose raised for meat as well as for egg production. A great example of a dual purpose breed is the Muscovy. Welsh Harlequins are another excellent dual purpose breed. As mentioned ducks are prolific layers. With that said, make sure to learn what the top 13 breeds for high egg production are. Raising ducklings is messy. Very messy. Setting-up a brooder properly is key to minimizing some of the mess which ducks can cause. Ducklings will require care until fully feathered. Between 7 to 9 weeks young ducks can handle being moved to the coop, as long as the coop is draft free. One other thing, the overnight temperature must remain above 50 degrees. 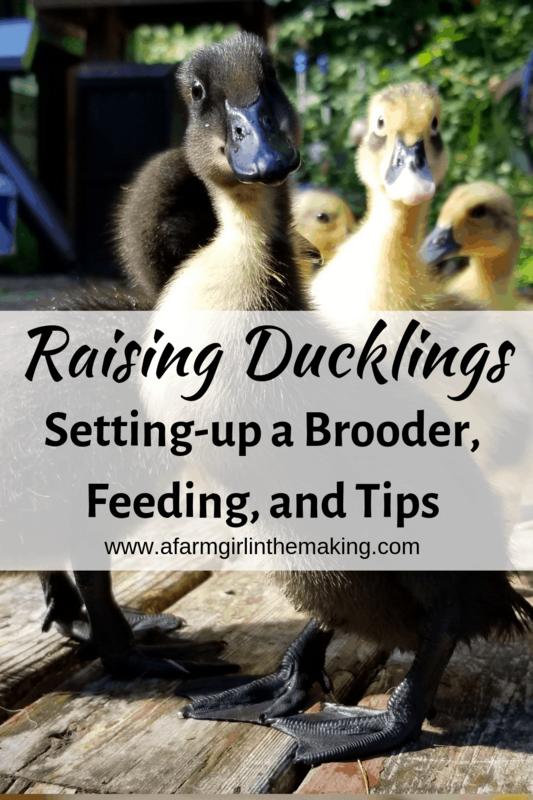 A large brooder, such as a stock tank, is beneficial when it comes to raising ducklings. 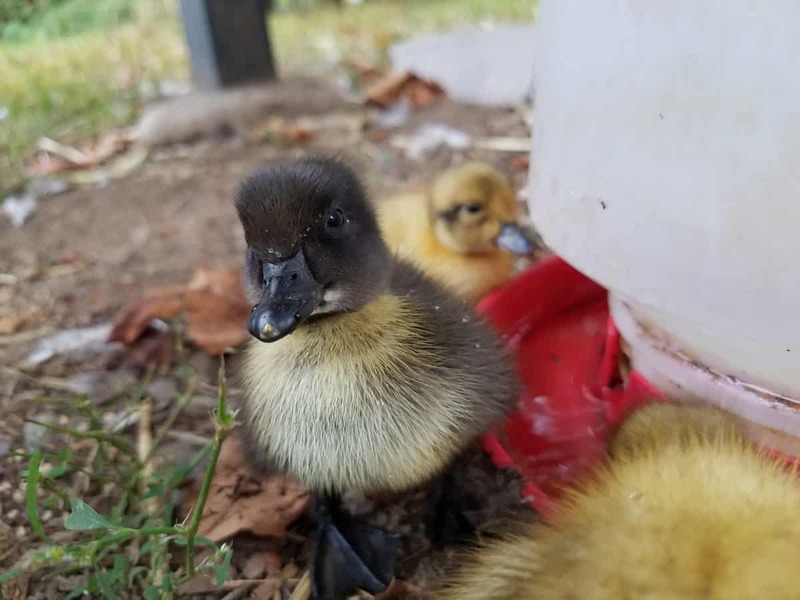 As a matter of fact, an extra large Rubbermaid container will house ducklings for only a short period of time. Plan for bigger housing once the ducklings have outgrown the existing brooder. Ducklings require 1/2 square foot for the first week, increasing by 1/2 a square foot each week until they are ready to move to the coop. Like chicks, ducklings require heat until they are fully feathered. There are two options to use as a heat source: a heat lamp or a heating plate. 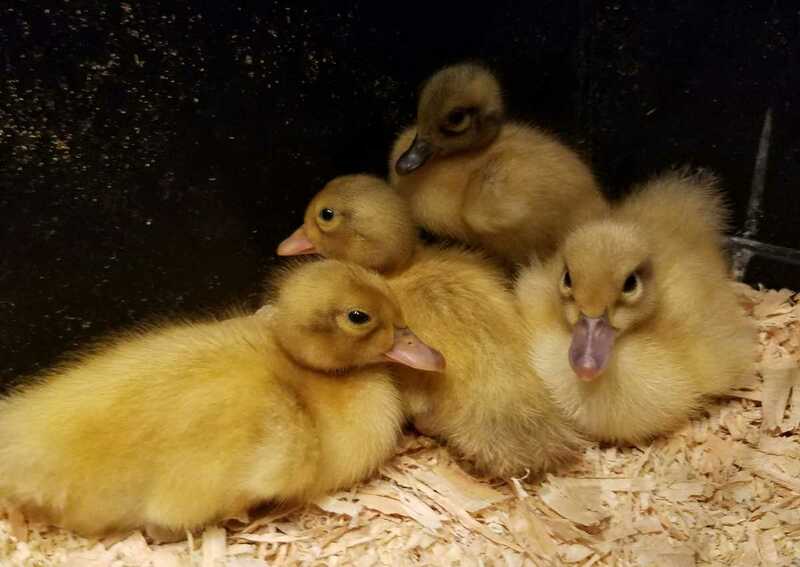 The brooder temperature for a ducklings first week of life is 90 degrees Fahrenheit. Every week thereafter the brooder temperature will need to be adjusted 5 degrees lower. A heat lamp is the primary cause of brooder fires. Make sure to secure this source of heat well using either zip ties, twine, or wire ties. A thermometer designed for brooders will help to monitor the temperature. Ideally, this is the best option for providing heat. A heating plate replicates the degree of heat released by a mother duck hen. The source of heat has very little risk of causing fires, even when knocked down. 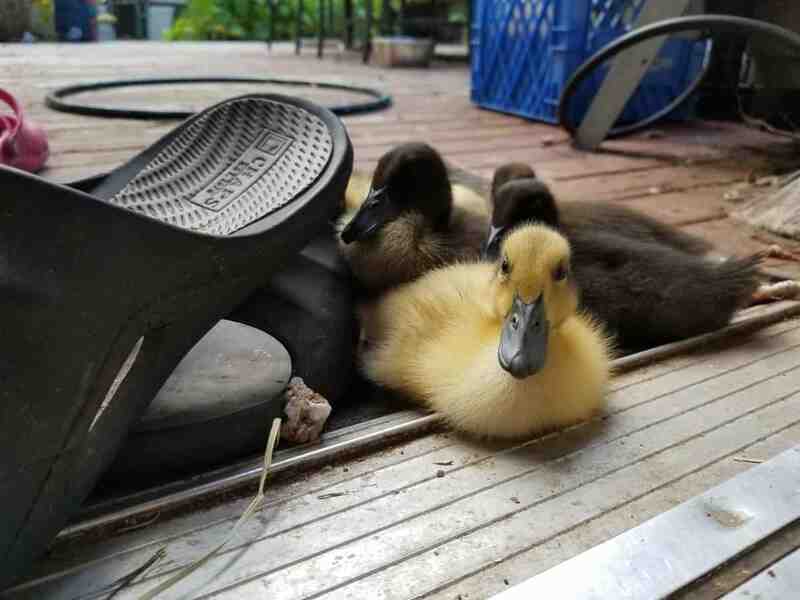 Heating plates are adjustable, accommodating the rapid growth of ducklings. Unlike a heat lamp, the temperature within a brooder will not have to be monitored when using a heating plate. Because a duckling’s waste is liquidy pine shavings are the best option to be used when raising ducklings. Line the brooder with 3 inches of shaving, changing it as needed. Gently raking the shavings each day helps to move around the waste and save on bedding. Ducklings have larger heads than chicks. Using open feeders, such as, ramekins, allows the ducklings to eat with ease. First and foremost, ducks (and ducklings) must have water available if feed is being offered. Ducks use water to help wash down the feed; without it they can choke. There are a few options when it comes to selecting waterers. But let’s be honest, raising ducklings in a brooder equates to a sopping wet messy space. There is no way around it. However, there is a way to minimize the amount of water being splashed around. The first 2 weeks – Place a plate under smaller waterers to catch the overflow of water. 2 to 9 weeks – Use gallon size apple juice jugs (the plastic is heavier with these) and drill two holes on the side. Make sure the holes are low enough to accommodate the size of the ducklings. 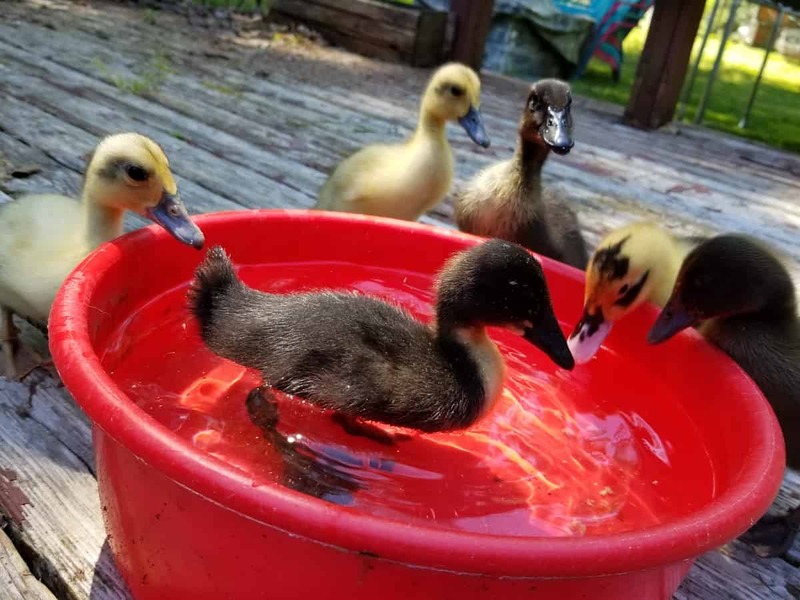 This DIY waterer will help prevent splashing while allowing the ducklings to fully submerge their heads. Additionally, remove the feed and water each night. Ducklings can go 8 hours without food or water. By removing these options the brooder will remain drier longer. *At this age it is important to allow ducklings to wash the eyes and nostrils daily. Doing so will help prevent crusty dry eye and remove any feed which had ended up in the nostrils. Because of how quickly ducklings grow it is imperative that the feed being offered is high in protein. Ideally, the crude protein level offered should range between 20 to 22%. Secondly, do NOT offer medicated feed to ducklings. Medicated feed contains Amprollium. Some argue that because ducklings consume much more feed than chicks they may overdose by consuming too much. However, there are studies which debunk this theory. Provide a non-medicated crumble or organic whole grain feed. 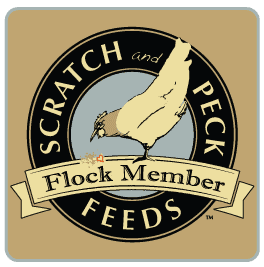 Scratch and Peck Starter (organic whole grains) contains 20% protein, whereas Scratch and Peck (organic whole grains) Turkey Grower contains 20.5% protein. Organic whole grains are an excellent option to provide. Not only are fermented grains healthier for ducks, it is more filling. Fermented feed will minimize the amount of feed needing to be offered. Purina Flock Raiser is also another safe option to provide ducklings. Flock Raiser contains an adequate amount of protein, as well as niacin. When feeding whole grains, fresh greens, or herbs grit must be offered. Often made of crushed granite, grit helps the crop break down these items. Offer grit free choice in a separate bowl. Another way to offer grit is to lightly sprinkled directly onto the feed, keeping the amount of grit to a few pinches per cup of feed. Providing beneficial dried or fresh herbs such as oregano, thyme, and sage boosts the immune system naturally. Grass clippings (no more than 2 inches long), dandelion leaves, plantain, and garden greens are also excellent treats. However, there are foods that should never be offed to ducks. These items affect the overall health of young ducklings and adult ducks. More times than not, feed options found in feed stores do not contain high enough levels of niacin. Offering niacin in addition to feed will often help to balance the levels needed. 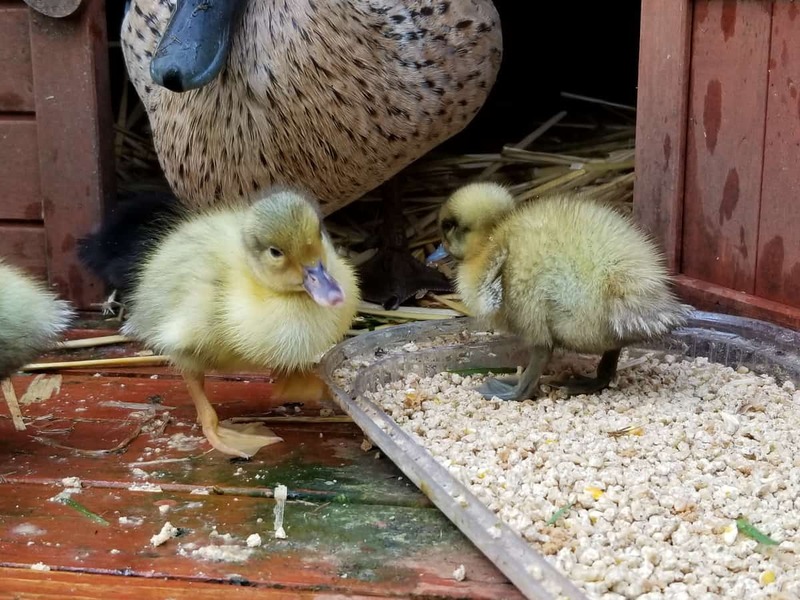 Brewer’s yeast can be purchased at many feed stores, and a few scoops added to the feed can fight niacin deficiency in ducklings. Niacin deficiency refers to inadequate levels of vitamin B, especial B3. This condition is often due to consuming industrial feed which was meant for chickens and not waterfowl. Symptoms include minimal weight gain, failure to thrive, and inability to walk. Natural probiotics found in foods and drink offered on a regular occurrence establishes a healthier digestive system. 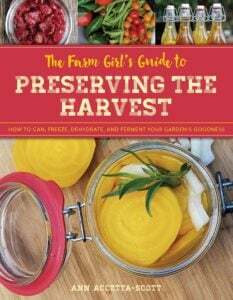 Simple items such as raw apple cider vinegar in the water, fermented foods, extra kombucha SCOBY or kefir grains are items which contain natural probiotics. 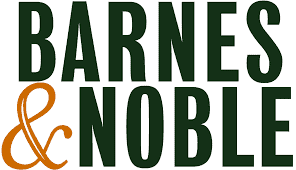 Synthetic probiotics, often found in local feeds stores or online, should not be offered on a daily basis. A synthetic option should only be offered for short period of time. 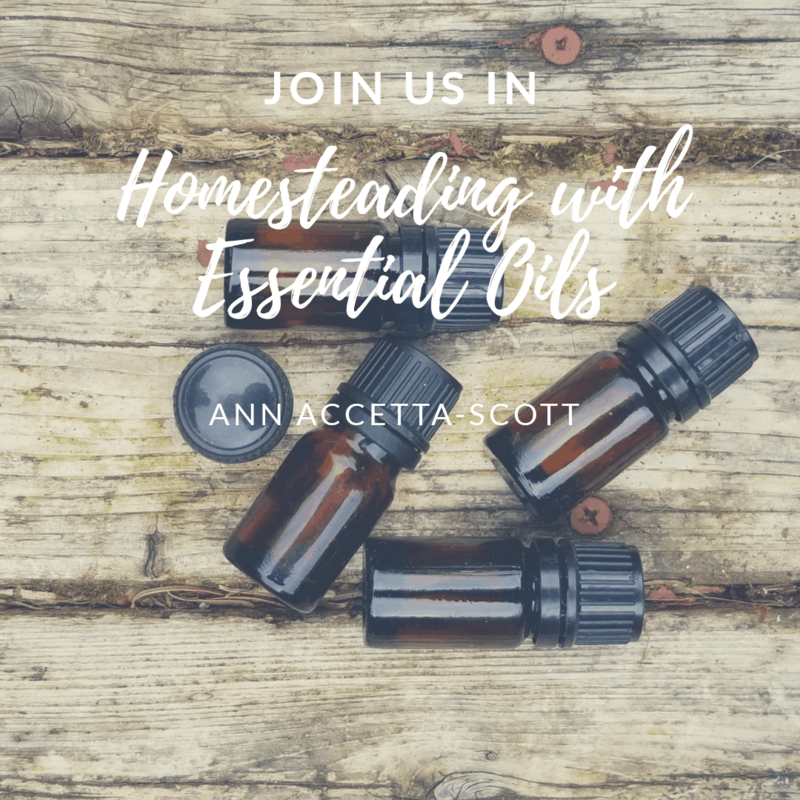 Offering specific herbs boost the immune system of all poultry and livestock. Not to mention for humans as well. Raising ducklings, or any livestock for that matter, requires providing optimal care. By adding fresh or dried oregano, thyme, and sage with feed daily just this. Additionally, infusing garlic in the waterer or minced with feed every few days is just as beneficial. Ducklings and ducks are creatures of habit. They are temperamental and require routine; without this a flock can become stressed. Ducks prefer to be let out and put away for the night at the same time. They also prefer to be fed and cared for by individuals they recognize and are used too. Something as simple as a new color of a water bucket can cause them concern and to become stressed. Keep in mind, a stressed duck causes a reduction in egg productivity. There is a misconception that a swimming area is needed for domestic ducks. This is not true. Ducklings and adult ducks need water deep enough to rinse their eyes and nostrils daily. However, a pool is a great source of entertainment for them and you. Ducklings enjoy swimming. Though, keep in mind, they must be fully dried off prior to returning to the brooder. To dry wet ducklings use a blow dryer on low warm heat. Once thoroughly dried immediately place them under the heat lamp or heating plate. By 7 to 9 weeks of age (and fully feathered) ducklings will not need to be dried off. This statement is partially truthful. Many domestic ducks cannot fly, though there are a few which can. Unlike their wild relatives, domestic ducks are bottom heavy. This prevents ducks from being able to take flight. Though ducks are prolific layers, there are breeds which are better than others when it comes to egg laying. Take a look at the list of the top 13 duck breeds for egg production prior to making your selection. Hands down, duck eggs are absolutely delicious to consume. But more importantly, they are an excellent ingredient choice for recipes. The yolks found in duck eggs are richer in flavor due to its fat content. Homemade egg noodles is an excellent option for using up eggs. An old fashion egg custard pie is a great dessert option and takes only minutes to prepare.